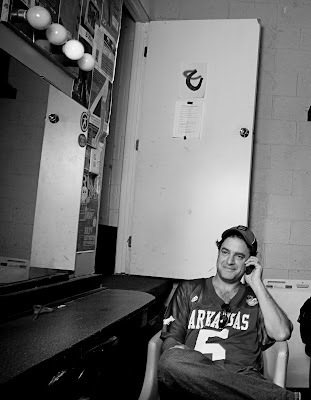 In the dressing room of the Upright Citizens Brigade Theatre in Hollywood, CA Jon Hanka had a chance to sit down with Matt Besser, co-owner and one of the founders of the comedy troupe. INVASION: You’re in the improv group ASSSSCAT! ; when did that form and who are the members? 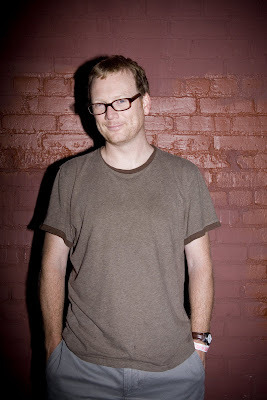 MATT BESSER: Ian Roberts, Matt Walsh and Amy Poehler. We started in New York City in ’96 and there’s no set membership but it’s basically our improvising friends, and a lot of the guys in New York from Saturday Night Live do a lot. INV: There’s a UCB theater in New York City; when did you guys decide to expand and was it hard finding a location for the theater out here? MB: We expanded three years ago. LA is a little tougher than New York because there are only specific zones of the city that you can have a theater in and parking is always a problem. We were lucky that the place that we’re in now was a theater already and the owners were ready to give it up right when we were looking so it was a good happenstance. We are expanding on the World Wide Web at www.ucbcomedy.com and after you spread to the world, how can you spread to anywhere else? INV: The UCB did a lot of pranks in public; what was your favorite prank to play and what was the most trouble you guys got into? MB: Once, at Planet Hollywood Walsh and I had made our own movie prop; we made this glove that had sharp blades and spikes all over it and we took it in and pretended that it fell off the wall and hit Walsh in the head. We put fake blood on his head like had a big gash and complained to the management about this prop that had fallen off the wall. We kept demanding to know what movie it came from and then we were arguing about it. They said it was worth millions of dollars and we couldn’t keep it, even though it was ours. Eventually someone recognized us and they took us to the back room and they took our cameras and our tapes… and then we got thrown in jail and I was in prison for three years, so when you didn’t see me on TV, that’s what was happening. INV: Do you have any upcoming projects that you’d like to talk about? MB: I wrote a musical called Freak Dance: The Forbidden Dirty Boogaloo. We put it up last spring and we’re restaging it. It’s going to go up in October every Friday in a theater in LA. I’m very psyched about it; I think people will enjoy it. 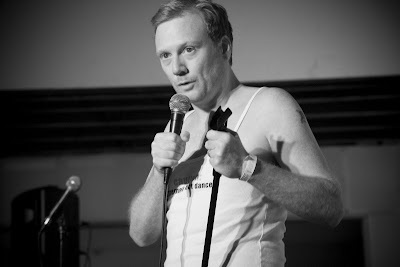 I’d also like to plug my video series on www.ucbcomedy.com called “The Back Room”. INVASION: Will there be any more Brody Stevens Interview Challenges? BRODY STEVENS: We hope so! There’s a couple that actually may be in the works with some people that we have done. I know we have some in the can that we put together… I’d say it’s a good possibility. At this time, it’s legally illegal for me to tell you who’s in it, but it’s someone you would know—someone you would like. INV: I read that you went to ASU and that you were a pitcher, how did you make the transition from pitcher to comedian? STEVENS: Well, you know, I played baseball and I was there for 5 years. You meet a lot of different guys and you’re around a lot of different people…with comedians you’re around all these different people and there’s a lot of down time and the players thought I was funny, I guess, I didn’t feel like I was funny. I felt like I was a dork and I didn’t fit in… baseball players can be tough and I got picked on, but looking back on it, it kind of meant they liked me. As I got out of baseball, it made doing comedy so much easier because you can take that; if you can deal with a crazy coach and crazy teammates, you can deal with life, in a sense. It defined who I am, but I’m much happier not being in that world. INV: Did you start doing comedy after college or was it during college that you started? STEVENS: Pretty much after college; I took a couple acting classes at ASU, never did stand up, got a C in public speaking. I’m still insecure, but everyone has those insecurities, but once you do it for a while you go, hey, you’ve done it for a while; back then I was kind of timid and didn’t have that experience. I know I give off a certain energy so I tried this acting class, but I didn’t start doing stand up until after college. INV: What was your major in college? STEVENS: Communications. I wanted to learn about different… I wanted to learn how to pick up chicks and be more like, inter-personal. Plus it was an easy major to get into school, but the baseball taught me a lot, too… Baseball definitely shaped my comedy and my work ethic. INV: Who are some of you favorite comics or comedy bits? STEVENS: You know, I was really into WWF when I was a kid—the over the top wrestling thing I always thought was funny, Beavis and Butthead, I mean, I like stupid comedy. Comedian-wise, I thought Garry Shandling was funny. I like watching my friends perform, too. UCB always has a lot of good stuff; they’re always funny. INV: Are there a lot of politics involved in comedy in Los Angeles? STEVENS: I think there are, you know, there’s a whole alternative comedy versus traditional stand up, but I think at the end of the day, if you’re funny it doesn’t really matter. If you’re different, it takes a little while longer to have an audience identify with you. A lot of it is common sense and human nature, though. INV: What can we expect from you in the future? STEVENS: I think definitely in the next year or two, I’d like to pick it up a notch. I’d like to get into some auditioning and let people know I’m out there. Ultimately, I’d like to combine baseball and comedy once and for all. Nothing specific, but there are things I want to do in the next few years. INVASION: Let’s talk about your new CD. What’s the title and when did it come out? ANDREW DALY: It’s called “Nine Sweaters” and it came out September ninth. 9/9 was the release date. [Laughs] It was a stroke of genius! INV: I saw that you studied at Ithaca College; did you study acting or something else? DALY: I floated around with a few different majors, but I did end up with a BA in theater, yes. INV: How did you get into comedy from college? DALY: I had always been doing comedy, I did sketch comedy in high school, we had a television production class. I’ve been doing comedy for years and years and it’s something I’d always wanted to do. I moved to New York right after college and the UCB (Upright Citizen’s Brigade) wasn’t there yet, but I was doing sketch comedy for a couple years before the UCB came to town and when they came to town I took the first class that they ever taught in New York. INV: What made you move from New York to the Los Angeles comedy scene? DALY: I moved when I got the job on Mad TV in 2000; I came out here for that job and just stayed. INV: What was your reasoning for leaving Mad TV? DALY: Mad TV found me in New York and hired me to come and do the show and it was just a very competitive environment there and I wasn’t a big enough fan of the show to compete to be on the air. INV: I saw that you’re doing a new show for HBO called “Eastbound & Down”. What’s your role in the show and what’s the show about? DALY: The show is about a major league pitcher who is kind of a John Rocker sort of controversial character whose career flames out and he has to move back to his hometown and teach gym at his old junior high. I play the junior high principal who’s a really big fan of his; I’m like the only one who still thinks he’s great. [Laughs] And I have to be engaged to his former girlfriend. INV: As a comedian, what’s your favorite comedic film? INV: Is there anything you’d like to add or promote? DALY: [Sings] Buy the album! [Laughs] No, you know, not really. I did work very hard on the album, though, and I’m very proud of it. Other than that, not much!